The Kh-55 strategic cruise missile is used for destroying targets whose coordinates are known. Its guidance system combines inertial-Doppler navigation and position correction based on comparison of terrain in the assigned regions with images stored in the memory of an on-board computer. The propulsion system is a dual-flow engine located underneath the missile's tail. The missile carries a 200 kt nuclear warhead. The first tests of this missile were conducted in 1978 and a few units were installed on Tu-95MS aircraft in 1984. Three aircraft versions of this missile are known: Kh-55 (Article 120, alias RKV-500, NATO's AS-15a), Kh-55-OK (article 124), Kh-55SM (Article 125, alias RKV-500B, NATO's AS-15b). 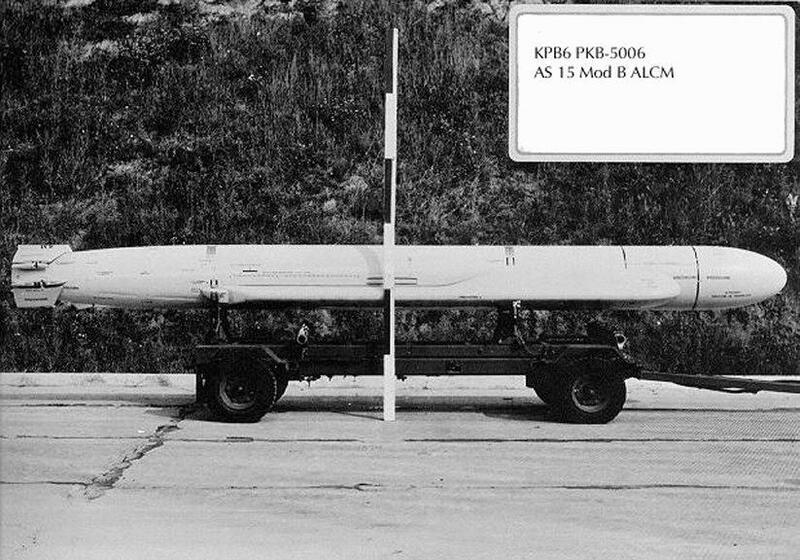 In addition the land version RK-55 (SSC-X-4) was destroyed in compliance with INF disarmament negotiations. The sea version SS-N-21 Sampson is reportedly deployed on the Akula, Victor III, Yankee Notch, and Sierra class SSN submarines. However, since the SSC-4 coastal defense variant is carried in a 25.6-in (650-mm) diameter canister, some analysts have suggested that the sub- launched variant is probably for launch only from 650-mm diameter torpedo tubes. Russian President Boris Yeltsin announced in January 1992 that he would end the manufacture of all sea- and air- launched cruise missiles. In March 2000 it was reported that the Russian Air Force had tested a new cruise missile with a conventional warhead. 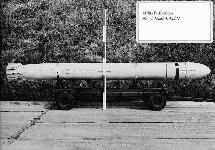 It was said to be a Kh-555 missile, which was developed from the Kh-55, with a range of 2000 - 3000 km. 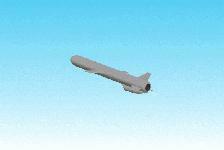 The Kh-65 missile is a tactical modification of the strategic Kh-55. According to the first available information (on data sheets at the 1992 Moscow Air Show), its range was to be 500-600 km. The reason for shortening its range was that, according to terms of the SALT-2 Treaty, any aircraft carrying missiles with a range longer than 600 km will be regarded as a strategic one and the number of such aircraft is strictly limited. 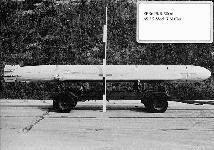 A full-sized versio of the Kh-65SE was displayed for the first time in 1993 (February in Abu Dabi, then September 1993 in Zhukovskiy and Nizhniy Novgorod). 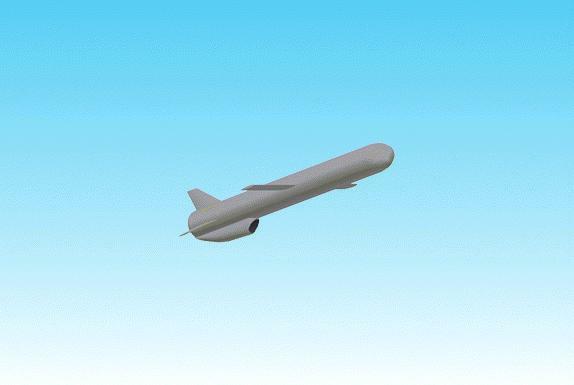 The missiles shown at the exhibitions did not differ from the earlier versions except for their range, quoted as 250 km when launched from low altitude and 280 km when launched from high altitude. 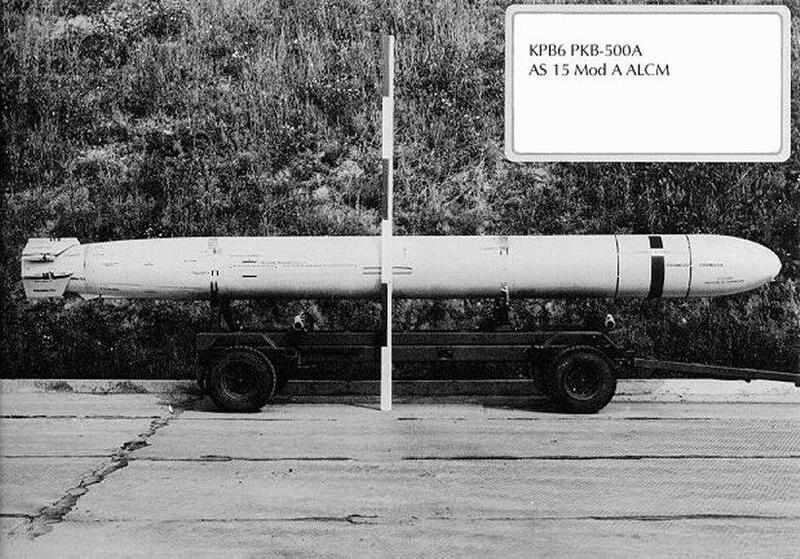 The Kh-65 was intended for use against large targets with a larger than 300 m2 effective reflecting surface area, particularly warships, under conditions of strong electronic interference. It approaches the target guided by an inertial navigation system while flying at a low altitude. Having reached the region where the target is located, it rises to a higher altitude and its active-radar target seeking system turns on.